The Stop’s Night Market has a new home! 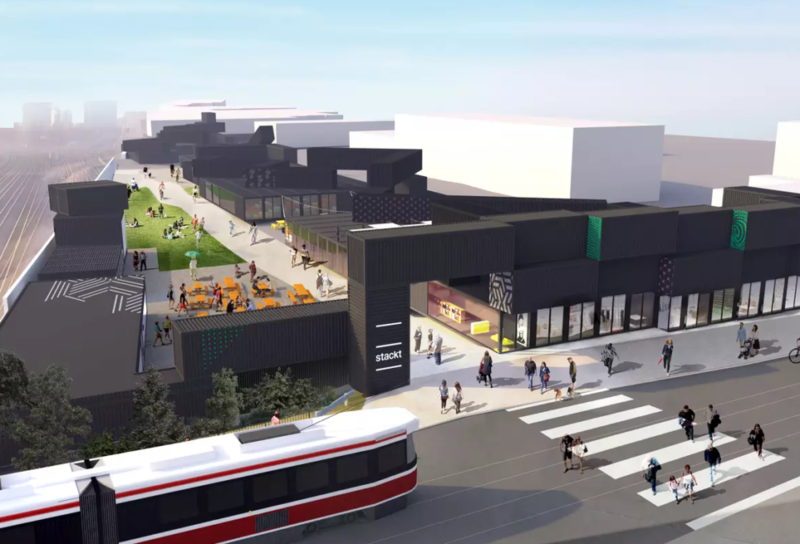 We’re so excited to announce that The Stop’s Night Market is headed to stackt, an innovative shipping container market nestled in the heart of downtown Toronto. Located at 28 Bathurst St., the new venue is the perfect host for our most popular fundraiser. It’s got plenty of space for our guests to eat and mingle, it’s wheelchair and transit accessible, and best of all, it features a stunning view of the CN Tower—perfect for when the sun starts setting! The Stop’s Night Market is inspired by night markets from around the world, and brings Torontonians together to celebrate community and the power of food. The event runs for two nights (June 18 +19, 2019) and features all-you-can-eat dishes from 65+ of Toronto’s best chefs, accompanied by 20+ local drink vendors and an eclectic mix of local musicians, DJ’s, and performers. The Stop’s Night Market is sponsored by FreshBooks, and all proceeds raised from the event support The Stop’s vital food access and community-building work. Mark your calendars! Tickets for The Stop’s Night Market go on sale May 8 at 12pm.